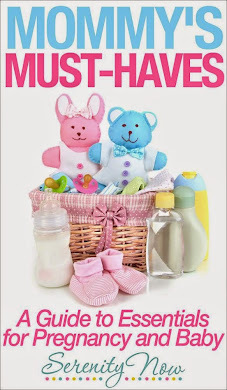 I always get the warm fuzzies when I find a "triple threat" blog: meaning it has good content that I can learn from, a great sense of style, and an easy to navigate format. Karen agreed to an email interview so that my readers could get to know her. 1. When did you start blogging, and why did you decide to start a blog? I have been blogging since September, 2006. At the time, my husband and I had just begun our journey to start a family. We were also on the hunt for a new home and I thought, "what better time to document all of the exciting changes that lay ahead of us?" I never realized what a fun and exciting world of blogging was until I started to receive comments on my posts. I would click on the comment which would bring me to a new blog. I would read a post on that blog and find even more bloggers through that post from those comments made. One click on those comments leads you to other blogs. You start to see familiar faces after awhile, who is following who, and who knows who. It's quite addicting! I meet new people every day who I would have never met if I had not created a blog. 2. Tell me about how you chose the title of your blog. We ended up building a new construction home and decorating it. Being a homemaker became something I was very passionate about. I also loved blogging about decorating, easy recipes, and simple homemaking tips and tricks that I found. They made my life as a new Mom a lot easier. That is how Karen At Home...Homemaking Made Simple came to be. 3. What's your favorite topic to write about? I am most passionate blogging about home decor and inexpensive home decor finds. And of course, my little girl! I recently started to get into DIY tutorials. In the past few months, I posted about DIY Wainscoting and DIY No Sew Drape Hem. I love helping people and showing them easy and inexpensive ways to decorate their home. 4. Which post are you most proud of? I have to say the first post that comes to mind recently is my Summer Pasta Salad post. I have received so many emails from readers and complete strangers telling me that they tried my pasta salad and how much they enjoyed it! 5. When your family has time together, what are some special things you like to do/eat/read/watch? My family and I love to take walks around our neighborhood. Every night, after dinner, you will see my husband and I strolling around the neighborhood. Sometimes we are pushing our daughter in the stroller, sometimes she is pushing her stroller, too stubborn to get in it! 6. What's the best thing about blogging? The best thing about blogging is the people you meet and the knowledge that you gain. I wouldn't be where I am at today without all of my supportive readers. I have never been so involved in a more inspirational network of women. I owe so much of my knowledge today simply from all of the great blogs that I read. 7. What's your favorite avenue of social media (Pinterest, Twitter, Facebook, StumbleUpon, etc)? My favorite social media is Twitter, via Hootsuite. Hootsuite is absolutely amazing. If you love Twitter, I highly suggest using Hootsuite instead. I can post directly to my personal facebook page, my blog fan page, and my Twitter account, all with one push of the button. You can also track your stats on how many followers click on your links. It's an amazing tool...you won't be sorry! Karen's fun style, her friendly-conversational tone, and her helpful tips are sure to delight you, whether you're a stay at home mom, working mom, or single girl. I hope you'll stop by her blog and introduce yourself. Be sure to tell her I sent you! Karen thought it would be fun to offer a Giveaway for you guys today. 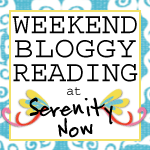 One Serenity Now reader is going to win a $25 Target Gift Card! 4. Join my Weekend Bloggy Reading party this weekend and link back to me or include my party button within your post for an automatic entry! I hope you'll come back tomorrow to link up YOUR best post of the week to Weekend Bloggy Reading. Recipes, crafts, home decor, book reviews, funny stories, you name it. Come prepared to showcase your blog and find some great weekend reads. The chicken and cheese turnovers look to die for!! They are making my mouth water.. Thanks for introducing us to her blog!! Thanks for the great giveaway! I love her blog, it's loaded with great stuff - my fave is the reality, her daughter climbing on the kitchen table and sitting in the bathroom sink. Been there, done that, got the grey hair to prove it :) Seriously, she is delightfully real! I "followed" her every way I could. Thanks for introducing us to her! Great giveaway...Who doesn't love Target? I really enjoyed reading through her tips on how to make a better blog! "Triple threat" is a great way to describe a blog! What a pretty woman Karen is--and her blog sounds delightful. I look forward to getting to know her. And what a wonderful idea to do a Target gift card giveaway. I can't think of a single gift card I'd rather receive than one to Target! She is so darn cute! Love her blog and her style. And now I need to try that pasta salad. I have been a follower of Karens blog for awhile now. Still new to blogging, I love the series Karen did on blogging. She gave great tips and "how to" for blogging. She has great pics and I love how easy it is to navigate to what you what to read about. Great blog! I've been reading Karen's blog for some time now and I love that our daughters are the same age. It's great to read a blog and hear about similar things someone else is going through and getting new ideas for things to do or new foods to try for my little one. I really enjoyed her Life of a Stay at Home mom series. Going back aways - Aug. 2009 post on her laundry room makeover. Thanks for a chance to win. So I went through her recipes tab... and the pumpkin chocolate chip muffins sound SO GOOD!!! Definitely going to try that one! I love Karen's Tips to a Better Blog. The tutorials are great! Just tweeted it from @LordKnowsBlog! That is my favourite entry for I am in love with Karen's family - such beautiful angels! Karen I love your blog, I love seeing all your YUMMY recipe ideas and am super excited to make your Bruschetta Chicken Bake and am excited to join Weekend Bloggy Reading party. I truely love seeing your blog it is very imspiring. i liked her recipe for the 7 layer dip. YUM! I love Karen's blog! I love the tips to a better blog and that recipe for 7 layer dip looks very yummy!! I've been following Karen for awhile. I love to see pics of sweet little Jillian! Her recipes are always great too. Love the 7 layer dip & the pasta salad! Just recently started following Karen and love her down to earth honesty about the everyday! She has a lovely blog! Like her tutorial on how to make a blog button! I'm already a reader of Karen's blog. Just stopped by to say "hi"! I like her honest approach to blogging and motherhood! 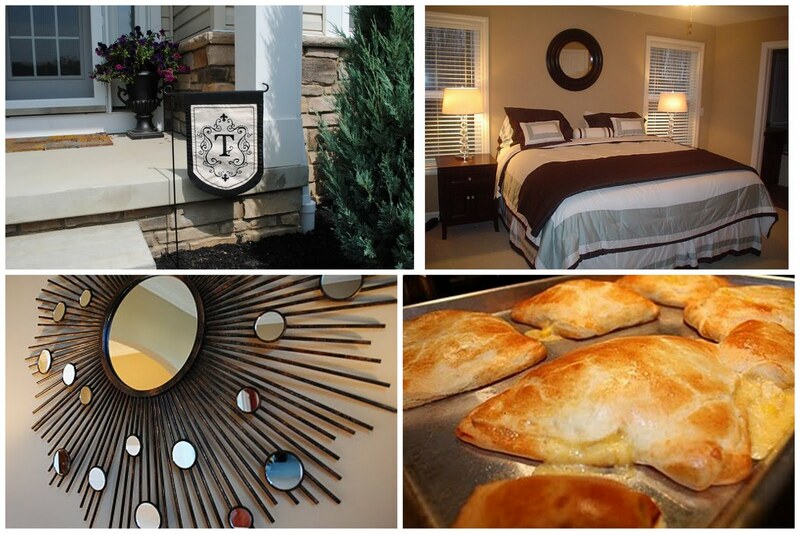 I enjoyed her Parade of Homes Tour. Twenty-five at Target sounds Terrific! She has some great blogging tips- wish I had seen her tute on how to make a blog button when I was trying to figure out how to do it! I love Karen's tips to a better blog series and I love that she uses and loves picnik as much as I do! I have picked up several tips from Karen about handy iPhone apps. She does a post monthly on one that she's discovered and found useful. I love Karen's home decor and DIY tips. She is an inspiration to me because I am not that creative or crafty of a person. She has taught a few tricks and has made me feel like I can be creative if I try. I really liked her blog on wainscoting. This is something that I thought would be much more complicated to do. But she showed it in a way that was simple to do the result was beautiful. 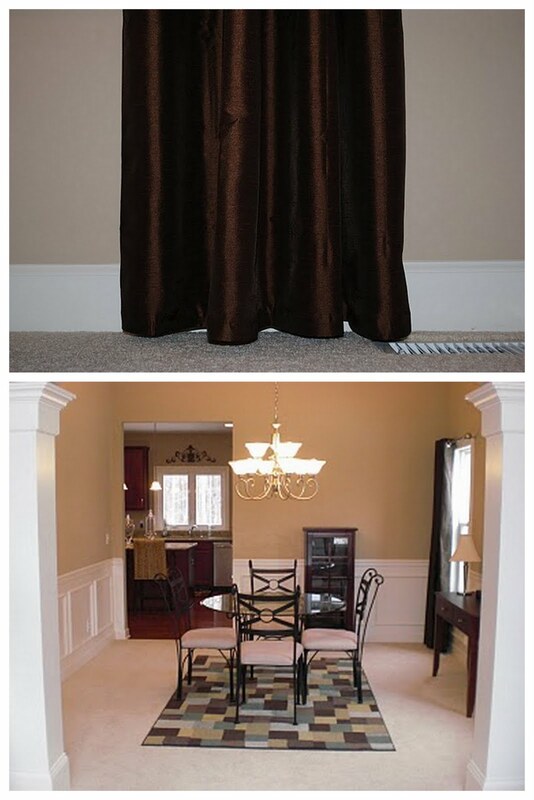 Her blog is so cute...I love the colors:) I really liked her post on DIY wainscoting. Such an awesome change in her dining room! Thanks for hosting another great party, Amanda! I'm dying to make the summer salsa and I found out that the company 31 was based on Prov 31! I would like to try her homemade baby food! I like the "How to Make Tissue Paper Poms" post!